Review: "Earshot: The Silver Lining" - Sea of Tranquility - The Web Destination for Progressive Music! 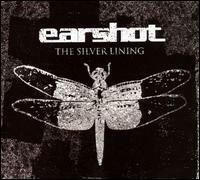 In 2002, the noisy and melodic modern-metal band Earshot released its debut CD, Letting Go, on Warner Brothers Records. The single "Get Away" peaked at Number 4 on the charts and spent more than 60 weeks in the Hot 100. Two years later, the band issued Two and reached Number 9 on the singles chart with "Wait." Then everything came to an abrupt halt. Label upheaval left the band without corporate support, and Earshot floundered for a few years before reconvening and releasing the optimistically titled The Silver Lining earlier this year on a smaller label. The 11 hook-filled songs here, performed with plenty of attitude and confidence, should appeal to the band's early fans and will fit in well with the sounds on today's modern rock and metal radio stations. Tracks like "Closer" and "Don't Hate Me" reach for the sky, while "I Hate You" (what's with the double standard for hatred, boys?)" sounds like the Offspring - albeit on a bad day. Perhaps Earshot is interchangeable with any number of faceless American bands on today's scene � there are no photos in The Silver Lining's packaging � but you've got to admire the group's perseverance in the face of so much adversity. Other bands would have packed it in by now.